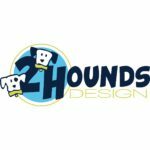 2 Hounds Design has been making quality products that dogs love wearing and people love using! Lean Manufacturing principles is used to drive continuous improvement in the areas of quality and comfort. The most humane and effective tool one can use to help end pulling is a harness. The Freedom No-Pull Harness has been extremely successful for many people due to the fact that it has a connection on the back of the harness using a patented martingale loop, in addition to a front connection. The harness sits low enough that it does not damage/harm the trachea and high enough that it doesn’t restrict the dog’s shoulder muscles. Using the Freedom Harness in combination with the matching training leash can be a game changer and transform the experience of walking your dog.